Good friends support you in your nail journey, but awesome friends let you practice doing full hard gel enhancements on them! So ((nail tech hat on)) when I say "hard gel" I mean a sculpting gel that cannot be soaked off - to get CND Brisa products off you are going to have to file/drill them off. 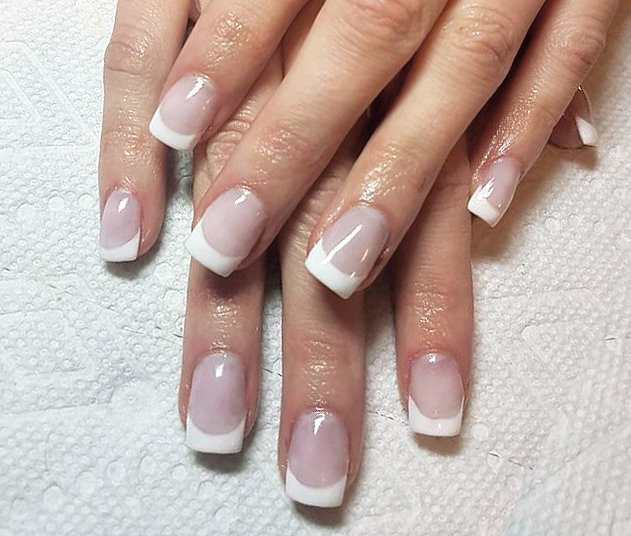 They are intended to be a longer wearing product, and one that you would generally just get a fill for (which means every so often getting them filed down and re-balanced where the enhancement has grown out and your natural nail is exposed). CND Brisa gels will not cure until you have cured them in the lamp, so you can shape the gel on the nail as long as you need before curing. If something is a "soft gel" it means you can soak it off. Gel means it's a gel (aka has a goopy consistency) which is different from acrylic which is where you combine a liquid and powder to make you sculpting product. 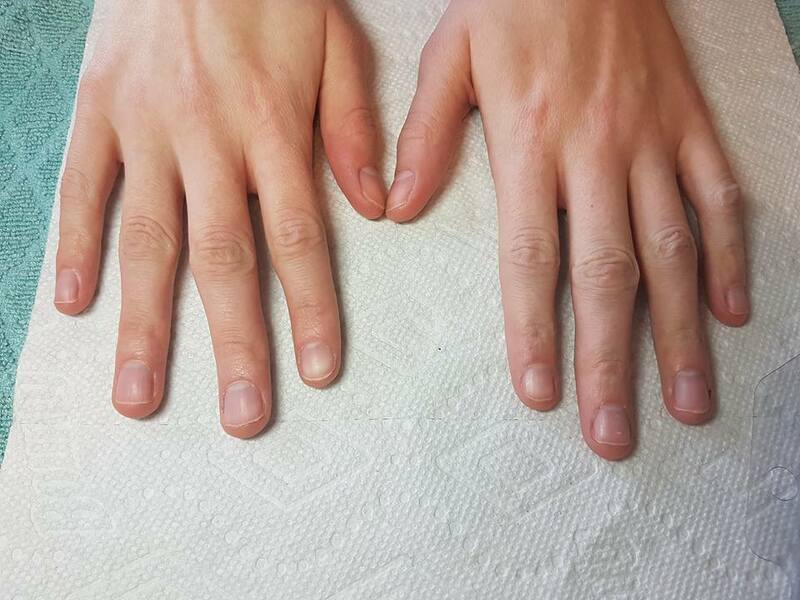 There are two ways you can use the CND Brisa Gel system to create enhancements: with tips, and with forms. 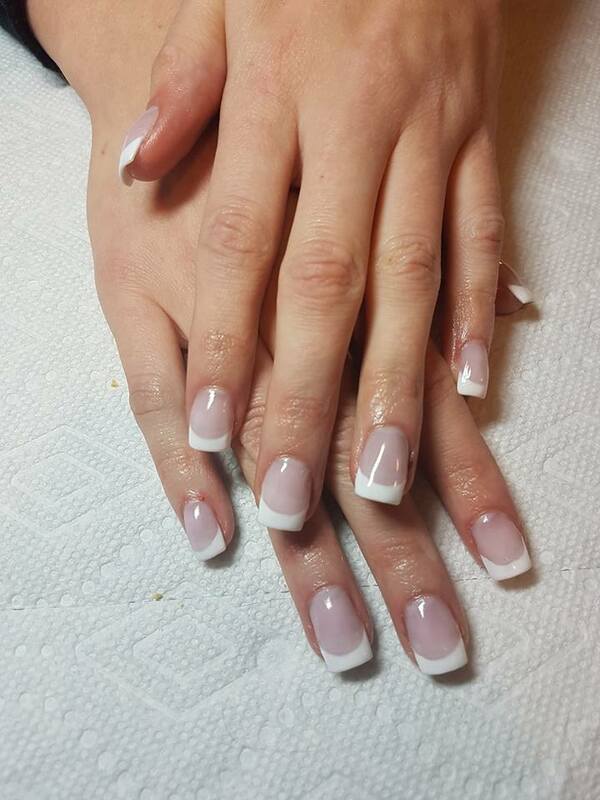 I prefer using tips because I find that gel enhancements can be a little weak otherwise (compared to acrylics). 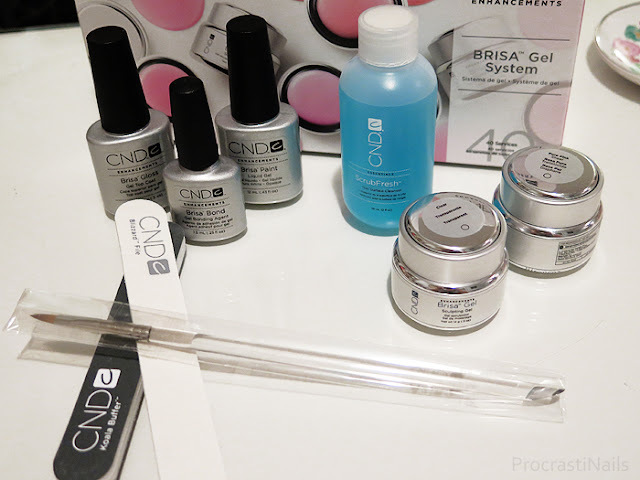 This is the CND Brisa Gel kit that I got in the class, which is similar to the products we learned with in nail school at George Brown College. There's a product to cleanse the nail plate (CND ScrubFresh), a bond for your base (CND Brisa Bond) your gel pots (for this mani I used White and Neutral Pink), your gel brush and your top coat (CND Brisa Gloss Gel Top Coat). So here's a look at Ashley's nails at the beginning of all of this. 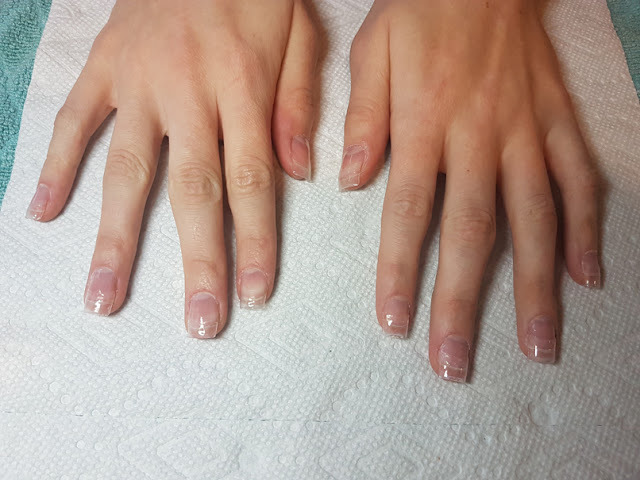 I started with a dry mani, pushing and nipping her cuticles a little bit, and filing her nails down and leaving just a little free edge. Next I dehydrated the nail and glued on the correct sized tips, and then carefully filed down where the tip met the natural nail on the nail plate to make sure it was flush against it without a ridge. I think I may have done one thin coat of Brisa Gel Clear over the whole thing. To do the actual sculpting I started with lining out the smile line with the white gel, cured it, filled in the rest with the pink gel, cured it, repeated until satisfied, and then shaped it all to make it smooth and to square off the tip. I'm pretty pleased with how this first set came out, though of course I can see ten million little things I could have done better. Still it was a good start! And it was really fun! So that's my first real nail tech post for you! I have lots more planned including a look at what was involved in my CND Master Sculptor Course, a recap of the rest of my Nail Tech program, and some other fun little surprises. So make sure to check back again later this week for more! It turned out pretty great. These turned out amazing! I wouldn't mind taking this course!